I made this Icecap farming guide to help out players who want to farm the herbs instead of buying them from the Auction House. It's recommended to have around Herbalism 290, so you won't get herb fragments. 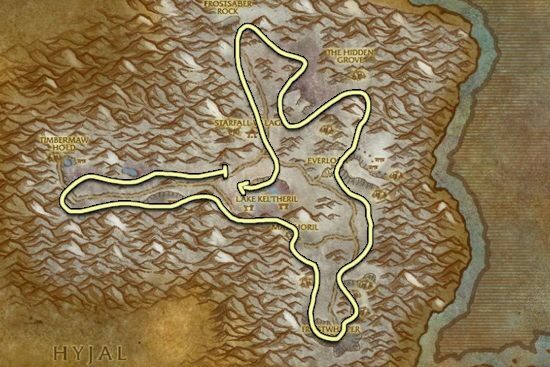 Icecap can only be found in Winterspring, you can't farm it anywhere else, but the zone is filled with Icecap so you can get a lot of Icecap in a short amount of time. You can also find a lot of Mountain Silversage here, so if you need that herb too, try to move closer to the mountains while you farm icecap, because Mountain Silversage mostly grows on the mountains (duh).